Cork is going to benefit from real investment and proper planning as a result of Project Ireland 2040. 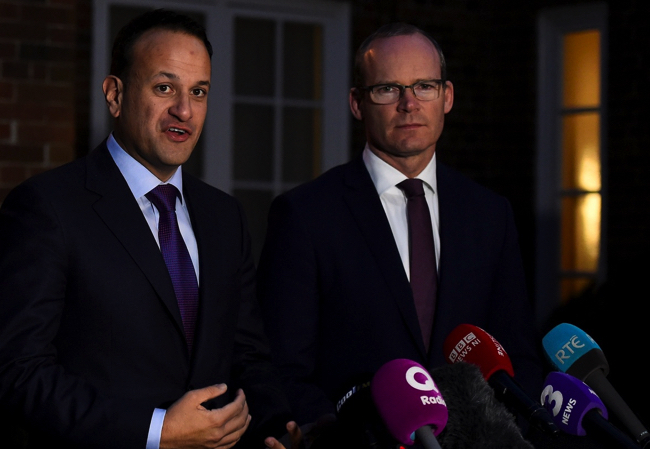 “In the first version of Fine Gael’s Republic of Opportunity document, we said it is time to plan for what Ireland is going to look like in 2040. This is our plan for the future of Ireland. For the first time in the history of the State, our spatial planning is backed up with solid investment and it will deliver for our citizens. “The National Planning Framework which forms part of Project Ireland 2040 sets out how Ireland can grow in a sustainable, balanced fashion over the next twenty years. 50% of population growth is planned for our towns, villages and rural communities and 50% for our cities. Project Ireland 2040 is backed and supported up by a €115bn National Development Plan. Project Ireland 2040 seeks to enhance regional connectivity and competitiveness, improve environmental sustainability and build a fairer, more equal Ireland where everyone has the opportunity to live in a strong community and reach their full potential. Cork City, the second largest in the State, will play a key role in enabling the implementation of Project Ireland 2040 with a major focus on a balanced strategy for the strengthening of the city and its wider rural setting in Cork County and the strengthening of connectivity between Cork and neighbouring areas in Limerick, Waterford and Kerry. There will be a major focus on large-scale regeneration projects for the provision of new employment, housing and supporting infrastructure in Cork Docklands (City Docks and Tivoli) and surrounding targeted county growth areas under the Cork Area Strategic Plan. A €0.9billion investment in the M20 Cork Limerick Road will improve connectivity and journey time between the two cities, while improving the existing N20 route in terms of road safety and traffic delays. Investment in the roads network in Cork also includes the N22 Ballyvourney Macroom Project and the N8/N25 Dunkettle Interchange, which will upgrade the Interchange to a free flow system. The Mallow Relief road will connect the N72 and N72 East/West and provide important relief for town centre congestion, as well as facilitating access to key supply and market routes for north Cork’s largest town. The Carrigaline Western Distributor Road will be progressed over the course of the National Development Plan. Investments in public transport in the Cork area will include a BusConnects program at an estimated cost of €200m to be completed by 2027, delivering bus corridors, enhanced services, cashless fares, account-based ticketing, and a park and ride network, as well as a number of sustainable transport projects to involve traffic management, bus priority and other smarter travel projects along with new urban cycling and walking routes. Opportunities will be examined on the Cork- Dublin rail line to move to higher speeds and improved journey times, and appraisal, planning and design of a light rail corridor for Cork will be carried out in the later stages of the period of the Cork Transport Strategy. The Port of Cork redevelopment project, costing circa €90m, involves significant improvements to the Port infrastructure and connectivity, and will enable the Port to accommodate larger vessels and further develop it as an international gateway for trade. New Business school, student accommodation, Innovation Park and ICT services and new dental hospital. A particular priority in this is substantially delivering the Atlantic Corridor, with a high quality road network linking Cork, Limerick, Galway and Sligo. Important elements of Strategic Investment Priorities set out in other sections of this National Development Plan will also have a central role to play in achieving Strengthened Rural Economies and Communities. For example investments in … further upgrading of the national roads network including improving accessibility and connectivity on the emerging Atlantic Economic Corridor that links major centres on the western seaboard. Upgrading of the Tyndall National Institute based at UCC in Cork, to support its evolution to a true international leader of scale in research and the development of ICT innovation. While Tyndall’s industry client base is spread across the country, this continued investment will see the most direct impact in the South-West region. A number of Research centres based in the region will be strengthened in scale and size with the objective of attracting international research talent and leveraging funding such as European Union research and development funding. Eleven major infrastructure projects will be delivered around the country as part of a €200m Public-Private Partnership Programme for the Higher Education sector, including Cork Institute of Technology. The Cork Lower Harbour Main Drainage Project involves a €55m investment to significantly enhance the water quality in Cork Harbour. This project is important in terms of protecting the environment, facilitating economic development and providing for a growing population in the Cork area. Project Ireland 2040 will see investment in Ireland’s 6 National Parks and Nature Reserves, several of which are in County Cork, including the Gearagh Nature Reserve, Lough Hyne Nature Reserve, Knockomagh Wood Nature Reserve, Kilcolman Bog Nature Reserve, Glengarriff Woods Nature Reserve, Capel Island, and Knockadoon Head Nature Reserve. Almost €108 million has been allocated to Fáilte Ireland for capital investment in Tourism Product Development over the next four years and it is intended that this level of funding will, at a minimum, be maintained over the lifetime of the National Development Plan. Fáilte Ireland will continue to invest in the priority areas that will deliver sustainable growth in the Irish tourism sector resulting in higher revenue and more jobs. The Crawford Art Gallery in Cork will see a €22m investment and essential re-development, over the period 2018 to 2025. Phase 2 will commence from 2022 and involves the complete refurbishment of the building. This redevelopment work will transform the Gallery into a fit-for-purpose, state of the art public museum, for Cork City and County and the wider region. The Cork Event Centre involves a Public-Private Partnership project to design and construct a new Event Centre in Cork city centre, with Cork City Council responsible for the management and delivery of the project. It is envisaged that the Event Centre will, be capable of accommodating a range of events including concerts, festivals, family entertainments, cultural, sports, exhibitions, conferences and trade shows. Capital investment programme across all six FHCs encompassing ongoing safety and maintenance and necessary new developments the FHCs This is required to provide suitable, safe, efficient and hygienic facilities to further develop a modern offshore Irish fishing fleet and and increase landings into our Fishery Harbour Centres. Of the 2,000 additional social housing units in current delivery, specific examples include projects in Cork City, White Street Church Road. Furthermore in Cork City, the regeneration programme for the City North West area will continue, with new phases of the programme in Knocknaheeny expected to deliver almost 90 houses. Crann Ard Fermoy 52 dwellings, Kilnagleary Carraigaline 49 dwellings. Health capital investment projects in the South West include the development of primary care centres and the upgrading and replacement of community nursing units across the region. A new Hospital for Cork and new dedicated ambulatory elective-only hospital facilities will be introduced in Cork. Replacement and additional radiation oncology facilities will be provided at Cork University Hospital. Investment projects in towns and villages with populations of less than 10,000 in Cork will be in a position to benefit from a new Rural Regeneration and Development Fund which will invest €1bn in promoting rural renewal in Ireland, to help towns, villages and rural areas to grow in a sustainable way. Increased investment to enable the creation of 1,000 jobs every year in Gaeltacht areas across the country including Cork. Major Defence Force built infrastructure projects currently in progress include upgrade of fuel storage safety system in the Naval Base, Haulbowline, Co. Cork. IDA property solutions, strategic sites and grants in all regions will deliver new Foreign Direct Investment and high-quality jobs. Since it is more challenging to win new investment outside metropolitan areas, advanced planning and provision of property solutions will be expanded in all regions with a particular focus in the near term on the Border and Midland Regions. Ireland’s ability to secure significant new large-scale capital investment in all regions is partly dependent on the ready availability of serviced sites of scale with appropriate zoning and capacity for required utilities to match the needs of large capital intensive projects. The IDA’s investment in strategic sites to date has yielded significant projects that would not have been possible unless such sites were available for investors. It is also evidenced by the clustering of companies in locations such as Ringaskiddy in Cork. The acceleration of the National Broadband Plan ensuring coverage in villages, rural areas is a key priority. For social housing, the target across the 2016-2021 period is to deliver approximately 7,000 additional social homes under this programme across the South West region. Over two thirds of this will be through new build and a healthy pipeline of activity is already in place with around 2,000 units completed, on site or progressing through approval stages. For more information, please visit the Rebuilding Ireland website http://rebuildingireland.ie/news/quarter-3-social-housing-construction-status-report/. Investment in schools includes a nation-wide school building programme to respond to demographic changes, as well as the Prefab Replacement Programme, Summer Works Schemes and Minor Works Schemes to support the ongoing school maintenance and upgrade programmes. For pre 2008 schools, a deep energy retrofit programme will be commenced and progressed. The Digital Strategy for Schools rollout is a priority for Government, and will further embed technology and digital learning in primary and post-primary schools throughout the region. Increased investment will also support new Physical Education facilities in post-primary schools, to ensure that students have access to the appropriate facilities to support PE provisions, particularly in the context of the roll-out of PE as a Leaving Certificate subject. Over €100 million in capital funding has been allocated nationally for the Sport Capital Programme (SCP) for the coming four years. This programme will be further expanded over the period 2022 to 2027 which will allow for the continued development of new and improved sports facilities in both urban and rural areas. To help support employment and enterprise, new Regional Sectoral Clusters will be developed. Led by industry, these Clusters will involve regional SMEs and multinationals collaborating with research centres and third-level institutions, with the aim of scaling and internationalising enterprise in all regions. 2018 will also see the launch of the second phase of the Regional Enterprise Development Fund involving €30m, under Project Ireland 2040. As part of the Government’s priority efforts to support and equip SMEs for the challenges of Brexit, Enterprise Ireland and Local Enterprise Offices are supporting exposed enterprises with targeted programmes to improve their competitiveness and innovation performance, and to diversity trade from the UK to new markets. A €300m loan fund is also open to businesses of less than 500 employees, nation-wide, which are exposed to the impact of Brexit. Rural and community development in Cork will be supported by, for example, the Town and Village Renewal Scheme, LEADER, the Rural Recreation Scheme, the CLÁR Programme, the RAPID Programme and further libraries investment. On farm Investment – Targeted Agriculture Modernisation Scheme – support for on-farm facilities and equipment in the South-West to enhance growth and competiveness, address climate and environmental issues, improve animal welfare and farm safety. Targets young farmers to address the age profile of the sector. Forestry Programme – Funding for Afforestation grants, forestry development supports as well as premia for existing forestry. In addition to their valuable economic contribution to the rural economy forests play an essential role in helping with climate change mitigation, through carbon sequestration in forests and the provision of renewable fuels and raw materials. National Food Innovation Hub – Funding to create a supportive environment for research and innovation involving food companies and research institutes with a focus on food, health and nutrition. European Maritime and Fisheries Fund Programme – Support for investment in productive capacity in aquaculture and for investment in seafood processing equipment and facilities to assist SME seafood enterprises to scale up and invest in the technology to move up the value chain and to diversify their exports. The multi-annual capital funding framework for the Rural Water Programme is comprised of a range of measures to improve the quality, reliability and efficiency of rural water services infrastructure, including group water schemes and group sewerage schemes. The aim of this Programme is to strengthen rural economies and communities. Continued investment in our national transport networks will help ensure high levels of service quality, accessibility and connectivity. This includes for example, a National Train Control Centre to improve rail traffic management, and increased investment in rural transport programmes.